Aidan is a bright seven year old from LaGrange, Kentucky, who was diagnosed with Ewing’s sarcoma in June 2015. For the last two years, his family has made the two-hour trip to Cincinnati Children’s Cancer and Blood Diseases Institute for regular appointments and treatments. These visits last anywhere from one to five days. His parents alternate providing Aidan’s inpatient and outpatient care while trying to balance their fulltime jobs and keep life as normal as possible for Aidan and his little sister. These two years have proven exceedingly difficult for the family. Their social worker reached out to Family Reach for support. We helped cover the family’s travel costs to ensure Aidan made it to his radiation appointments, a critical part of his cancer treatment, and help his parents stay on top of their everyday bills. Members of CVS Health joined Family Reach at Cincinnati Children's Cancer and Blood Diseases Institute. As the funder of our partnership with Cincinnati Children’s, we’re humbled to have CVS Health by our side as an engaged, innovative corporate partner. They play an essential role in the work we do day in and day out to change the face of cancer for patients like Aidan. 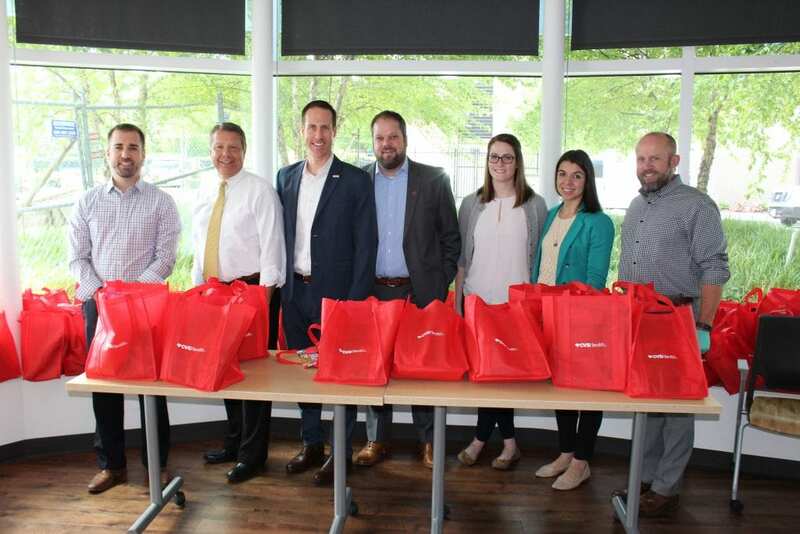 This month, some of the team from CVS Health stepped out of the office and into the community, volunteering their time to bring a bit of joy to pediatric cancer patients in active treatment at Cincinnati Children’s. We joined this devoted team for a day dedicated to assembling gift bags full of Pillow Pets, coloring books and other comforts and necessities for inpatient families. These bags were distributed to young children across the oncology floor, providing an unexpected moment of happiness. CVS Health employees also met with Family Reach staff, representatives from Cincinnati Children’s and Elizabeth W., Aidan’s mother. Together, they shed light on the financial devastation of cancer and how the alliance between CVS Health, Family Reach and Cincinnati Children’s is addressing the issue head on. With the announcement of the Cincinnati Children’s Hospital Proton Therapy Center, an innovative therapy that typically requires treatment five days a week for six to eight weeks, many families saw a dramatic increase in financial hardships due to travel costs, reduction in parental employment and relocation costs. The CVS Health Community Grant has allowed Family Reach to enable continued access to care through the hospital’s Family Relief Direct Assistance Program, improving overall adherence to treatment plans and ultimately impacting a patient’s survival. We are honored to partner with CVS Health to bring support to so many deserving families!